Taking place in Sydney's central business district, on Wednesday 22nd August Commission Factory hosted its first Travel Mixer in conjunction with Awin. 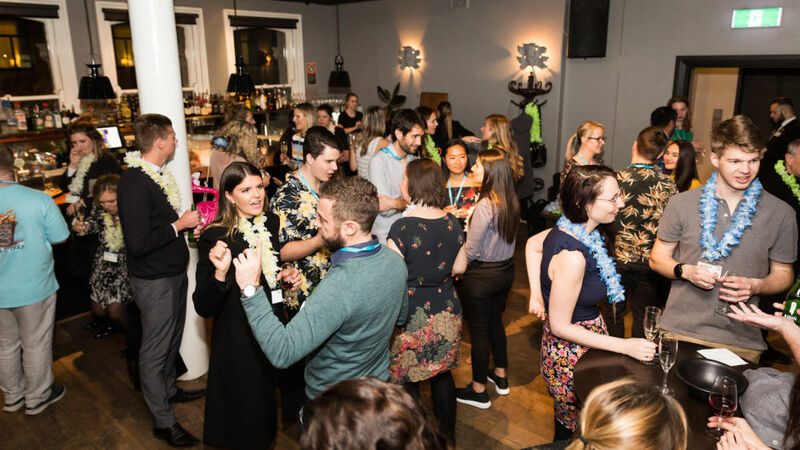 The event bought together travel experts both advertiser and publisher side for relaxed networking along with inspiring insights. After an initial ‘Aloha’ welcome and receiving a lay on arrival, guests settled down to listen to our expert panel; Alex Keshen, Travel Publisher at Finder, Keith Mason, Founder of Point Hacks, Rebecca Wilson, CEO of Starts at 60 / Travel at 60 / Boom Baby, Alex Marshall from StartsWithA, Sophie Metcalfe, Business Development Director at Awin and Ryan Keller, Marketing at Luxury Escapes. The panel discussed a number of topics, including emerging tech, trends, and demographic targeting with insightful pieces. They also shared their favourite travel hacks, including the best credit card to help get you a flight upgrade which was well-received by guests. Initial feedback has been overwhelmingly positive, and we’d like to thank all who attended, as well as the panellists for contributing their expertise. Commission Factory and Awin look forward to running similar boutique-style events in future. Jessica Rayner, Head of Partnerships | Raiz: "Fantastic night at Commission Factory and Awin's Travel Mixer listening to some wonderful panelists from both advertiser and publisher side on what they’ve achieved in the industry. Not only did I leave with lots of knowledge but also an urge to book a holiday." Monisha Bhogal, Global Performance Executive | Finder: "Thank you so much for having us last night, I had a really great time! Looking forward to the next one." Seana Smith, Editor | Hello Sydney Kids: "Thank you so much for hosting a really enjoyable event, I met so many lovely people!" David Glasgow, Group Head Australia | Navigate: "Thanks for the invite guys – really good to catch up with everyone and a great panel." Interested in learning more about opportunities in Australia? Get in touch with the team here.